The world of work is VUCA. It is unpredictable in many areas, increasingly uncertain, complex and ambiguous. Restructuring and change processes are no longer exceptions, instead they are a common experience. Resilience is a requirement for success. Combating stress in the workplace has become an important part of preventive occupational health policy. In 2011 alone, there were 59.2 million hospital days due to mental stress in the workplace – this represents an increase of more than 80 percent in the last 15 years. How do we perform in times of crises? The good news is: We can bring out our strengths to become change experts and crisis managers in the world. Resilience – the resistance to crises and burdens – is natural expertise within us, waiting to be developed. The question is how we can create working conditions for ourselves and our employees in which we optimally develop our natural potentials into applied resilience? hat keeps you healthy and motivated? What makes you strong and more creative at work? How do you balance expectations and reality? The answer we have found is to use the bamboo resilience principle to cultivate more creativity and health at work. The bamboo has always stood for a successful strategy for dealing with turbulent times: Bending with the wind instead of breaking. The bamboo allows mobility and flexibility, at the same time, it is also deeply rooted, stable and steadfast. Through long-term studies, researchers have discovered that around a third of us possess the resilience needed to face crises and difficult situations and emerge from them even stronger than before. Many people display this talent in their very early years; others develop it later, over the course of time. A serious illness, a separation or an unexpected job change, for example, might act as a trigger, causing us to question our patterns of behavior and develop a new, positive attitude to life. People’s careerpaths can include different occasionsf or development crises. Theyare an integral element of our maturation. Theyare what provide us with important learning processes. Besidesdevelopment crises, there are acute stress crises. They frequently arise due to unexpected, sudden events such as accidents, illness, separation or economic crises, but also as a result of positive eventssuch as amarriage, the birth of a child, awin in the lottery, careersuccess or apromotion. The stress involved with positive events is often underestimated, although they, too, presentuswith new and substantial challenges. How do we find more fortitude – without being rigid? How can we be flexible, agile and responsive, thereby getting work done without feeling rushed? How important is it for us to be well-connected and rooted through relationships? How can we rise again after the storm has subsided? Munir started his career in 1987, migrating non-profits into the computer age. Since discovering it is people that make the most difference for success, he works around the globe, as a facilitator, coach, and consultant, applying experiential activities for performance optimization and resilience development. In addition to his academic degrees, he has attended numerous trainings in best practice tools, processes, and systems to facilitate human and organizational development. 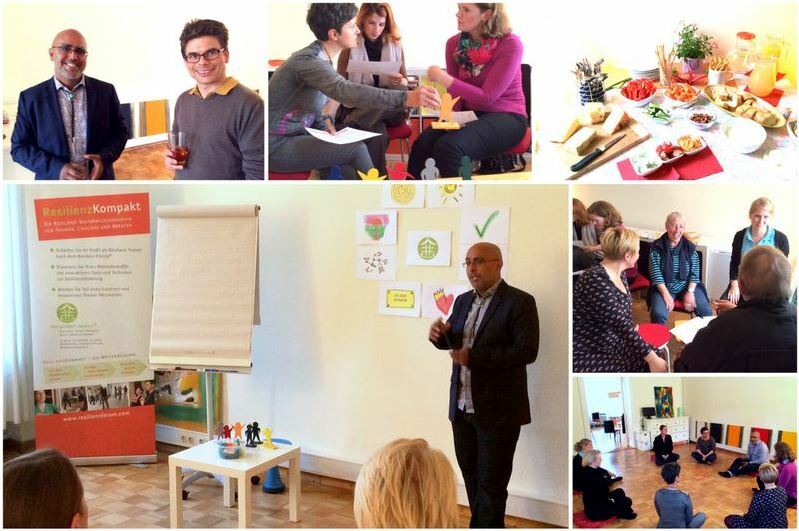 Munir Rashid is a certified Resilience-Circle-Trainer-Practitioner and SIZE Process® Trainer. He leads our Resilience Programs in English for the ResilienzForum Berlin since 2013. Please call for more information. each participant receives an individual access to the electronic version of the 135 page Haufe Pocket Guide “Resilience” by Ella Gabriele Amann. Enjoy our Video-Podcast-Series with Munir Rashid. 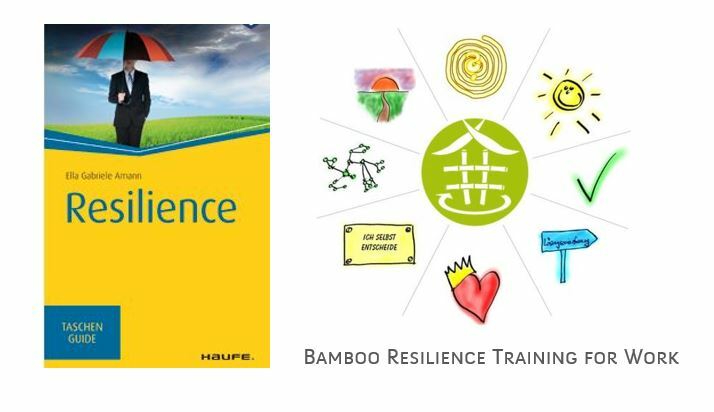 Learn more about the Bamboo Resilience Training – and let us know if you have any questions or if you want to book a Bamboo Resilience Training oder Coaching for you or your team. Sick people become healthy again. Sad people become happy again. Stressedpeople find peace and tranquillity. Overworked people are able to relax. Life crises are overcome and economic problems are conquered. Similar to our immune system,which protects our body from illness,resilience refers to the immune system of our psyche or soul: it helps us todeal with stress,pressure and crises. A person’s or an organization’s resilience is, however, not regarded as apermanent state thathas always existedand is retainedforever, but rather as alifelong learning process. Our resilience and thus our powers of resistance can vary from situation to situation and be stronger or weakerdepending on the stage of life we happen to be in. The term “resilience“ (meaning “elasticity“ or “vigour“; from the Latin resilire,meaning “rebound“) originates from physics and describes the ability of amaterial to changeshape, then afterwards regain its original form. In general, resilience stands for asystem’s tolerance to disruption. The term was embraced by psychologists to describe the humanability to recover from adverse circumstances, failures, grievances and illnesses and to start afresh. Resilience stands for psychological robustness –or in other words, psychological elasticity. The resilience circle training, summarized under eight concepts which can be systematically trained and fostered. They include: optimism, acceptance, solutions-focused thoughts and actions, self-regulation, personal responsibility, relationships, shapingthe future, and the ability to improvise. Step by step, aresilience circle trainingcourse can help organizations, directors, managers and employees alike to 8 Eight factors that build up resilience.